Amazing Spaces 15 Year Anniversary and celebrates by fundraising for the Shriners Hospitals for Children in Houston. Though storage is never a dull topic for the Amazing Spaces team, we do enjoy a break in the routine once in a while to work for the good of others. To help celebrate Amazing Spaces 15 year anniversary, we decided to do something AMAZING. 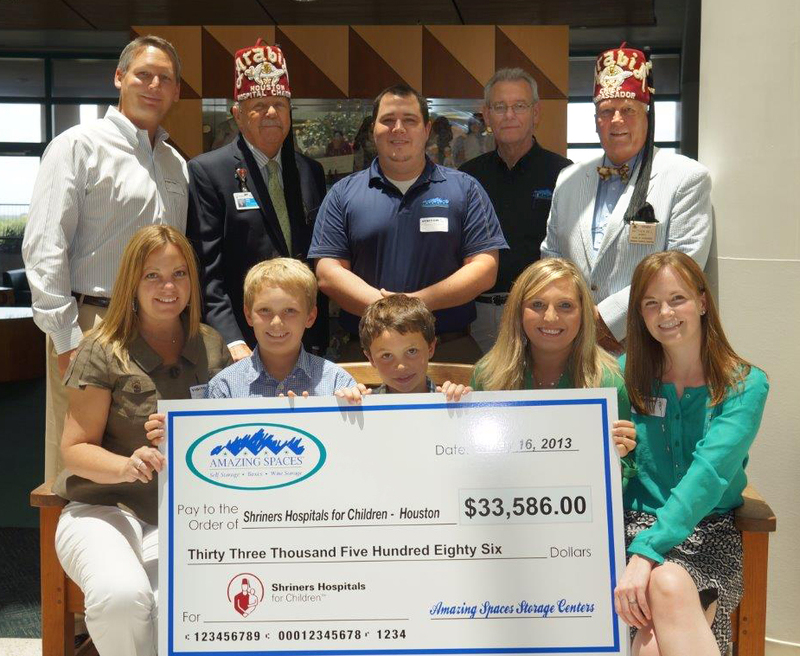 Our charity partner, the Shriners Hospitals for Children, is one of the many charities Amazing Spaces donates to and holds drives for annually. We’ve been supporters of the hospital since 2008, hosting an annual dollar drive in conjunction with our industry professional organization, the Texas Self Storage Association, of which we are a member. Each year we ask our generous customers to donate a dollar with the idea that each dollar makes a difference when we all give. Amazing Spaces then matches the dollar amount our customers donate. This year marks Amazing Spaces 15 year anniversary in business and to celebrate this milestone anniversary, we decided to go big by planning a very fun and special event. The fun included inviting our friends, customers, and supporters to enjoy great food, wine, and desserts at our newest location, the Medical Center location. What made it really special was a live auction called by Walt Cade from Storage Wars Texas! 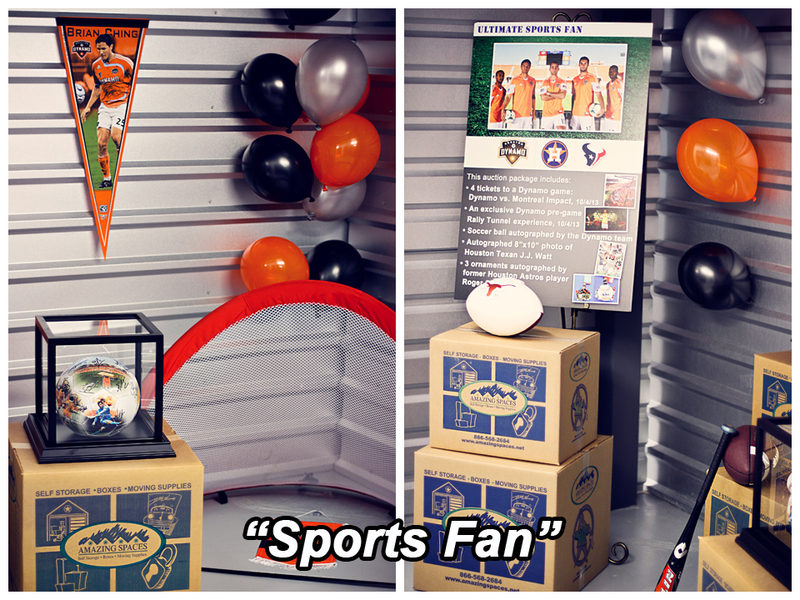 The items in this live auction were generously donated by many of our partners and associates who were glad to see all of the auction proceeds go to such a great cause: the Shriners Hospitals for Children in Houston. Auction items were staged by themes in empty units and were revealed one by one so that guests could experience what it’s like on the popular show “Storage Wars.” Auction items included a week’s stay in the St. Thomas Virgin Islands, tickets to the Houston Symphony, a football autographed by Earl Campbell, shopping and dining gift cards, and much more! 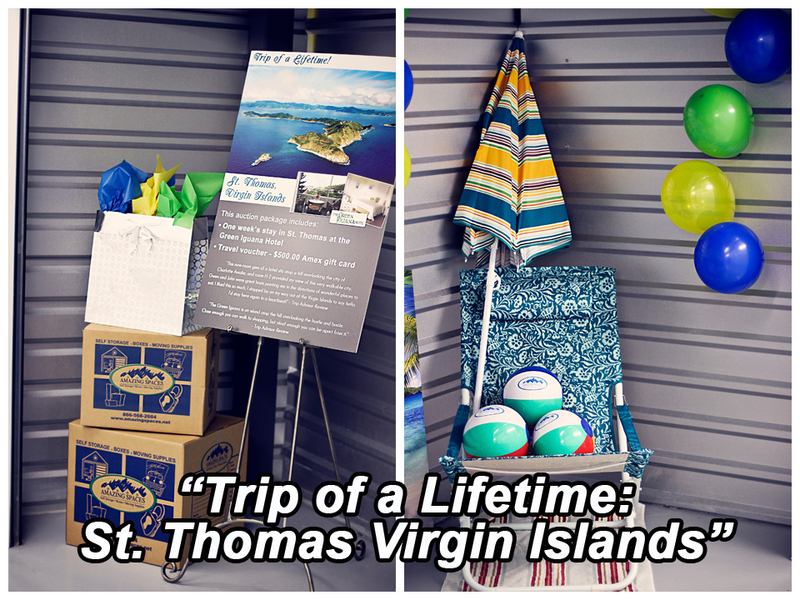 Additionally, funds for the hospital were raised by raffle ticket sales from which 4 lucky winners received a free year of storage. Finally, funds were raised by several of Amazing Spaces’ network partners committing to sponsor the event. Shriners Hospitals for Children in Houston! 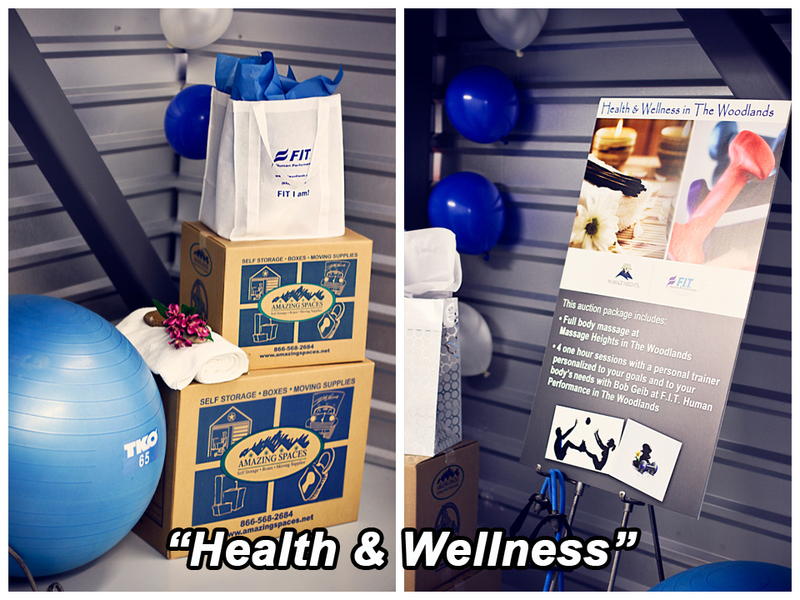 As a company, we are so pleased to be able to celebrate our 15 years of success by giving back. We look forward to a continued relationship with the hospital and to more opportunities to break from our daily routine in order to give to children in need! Couldn’t make it to the party? Check out the video below to see what you missed! This would not have been possible without the help from all of our generous sponsors and donors. We’d like to extend a BIG Thank You to our following partners: E.E. Reed Construction, CBRE, Inc., Edgecomb and Associates, EnviroCom, Inc., Empire Electric Co., Wells Fargo, Bader Company, Penske Truck Rental, Daniel Movers, AAA Boxes Co., Better Homes and Gardens Real Estate Gary Greene’s Inner Loop Office, Corporate Housing Associates / Woodlands Interim Housing, Houston Dynamo, The Woodlands Young Learner’s Academy, Voss Lighting, Kristin Arnsmeyer, Central Market Houston, Market Street The Woodlands, Universal Business Consultants, Champions Investigators, Houston Symphony, Brio River Oaks, Access Self Storage in Dallas, TX, Square Cow Moovers, Green Mountain Coffee Roasters, Inc., the Museum of Fine Arts, Houston, Shriners Hospitals for Children Open, Pinky Promise Photography, Maid Envy Professional Cleaning Service, Service Men at Work, F.I.T. 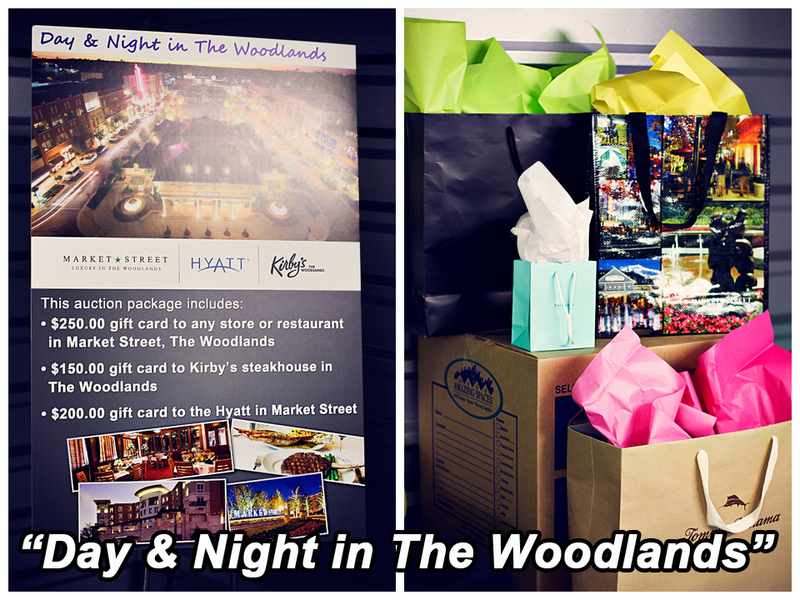 Human Performance, Kirby’s Steakhouse The Woodlands, Richard Sanborn, Morgan Stanley, Massage Heights in The Woodlands, Alley Theatre, Miracle Mile Shops, Seraphina Fine Jewelry & Bullion, Grotto The Woodlands, CAA Sports, and River Oaks Chrysler.